Nothing’s rougher than a Canadian winter . . . except maybe one that never ends! As winter fallout reaches its peak, Flavie is once again forced to leave her comfortable life to help her friend Marco. Braving the cold, she’s pulled into a quest for cough syrup that will take her and her snowmobile all the way out to the dreaded, out-of-bounds Mount-Royal Park, where a group of teens on motorized snowbikes have been stealing and hoarding medical supplies...which Flavie desperately needs to fight off the mutagenic effects of living in an eternal nuclear winter! In the midst of all this, Flavie’s younger sister is back in town...and looking to reconcile. 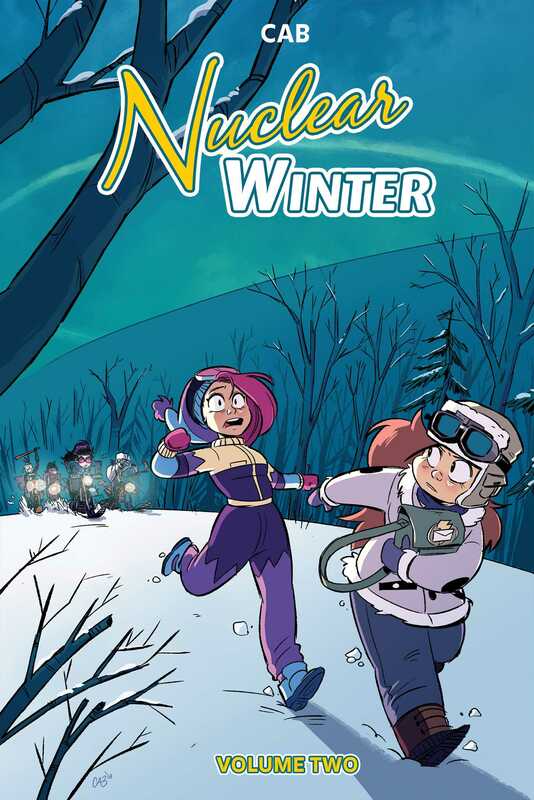 Cartoonist Cab delivers a hilarious, relatable adventure story in this second volume of her Nuclear Winter graphic novel series.